License: This is a commercial product made by Stellar Soft and cannot be modified for other see more than personal usage. This licence is valid for one domain only. Redistribution of this product for free or for a fee without written permission from Stellar Soft is strictly prohibited. Now you can change your website background on certain occasions such as Valentine Day, Christmas, New Year's Eve or based on the demographic information of the logged in member. For example, if your social network is connected to Sport then you can put a special Olympic background at the time of the Olympic games or you can display a football related background during the Super Bowl season etc. 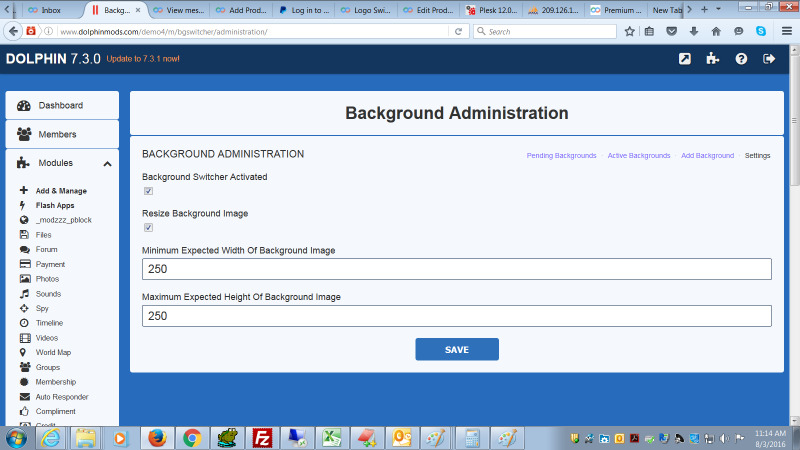 This is an automated system that allows administrators to use a variety of Backgrounds on their site and display each based on specified selected criteria that is configured in the Admin Panel. 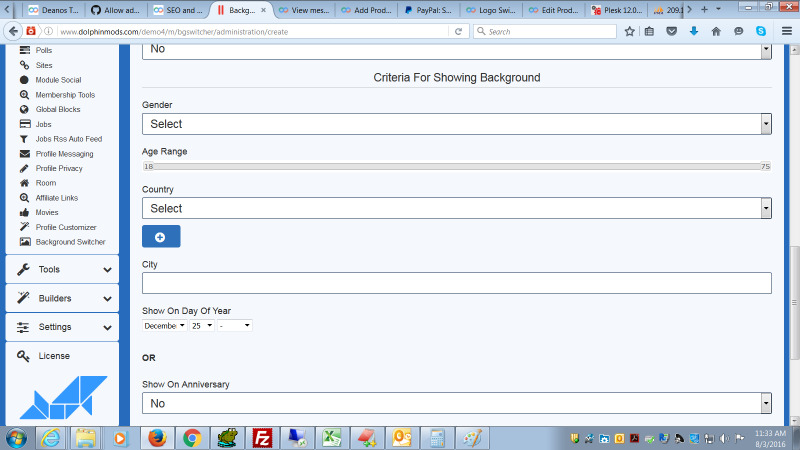 Simply select the occasion when the background should be shown and the plugin displays the background when that criteria is met. It is lightweight and simple to use. 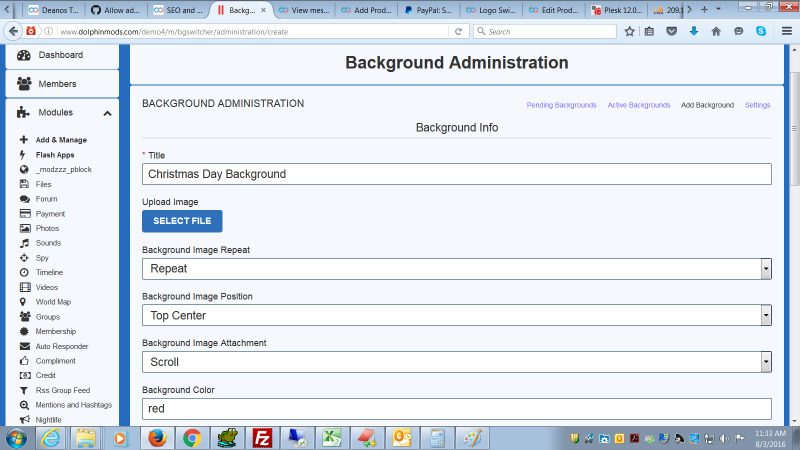 It is possible to configure a background for a specific page only. 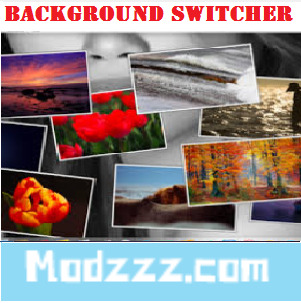 Background Images can be uploaded or its possible to just link to an external background URL. Gender - For logged in members, you can display a background specific to their gender. Age Range - For logged in members, you can display a background based on their Age (determined from Date of Birth). Country - For logged in members, you can display a background specific to the country of residence. City - For logged in members, you can display a background specific to the country of residence. Show on Anniversary - You can display a special background to members if they have logged in on the site on the anniversary date of joining. This can be limited to specific number of years (eg. 5 yrs of joining) or it can be for every anniversary. Show on Birthday - For logged in members, you can display a special background on their birthday. Language - You can show a different Background based on the language that the site is being viewed in. Backgrounds can be activated/deactivated as desired. You can have as many backgrounds as you would like and easily manage them by enabling and disabling. You can set the Opacity of the Logo section, Menu section and Body section of the page separately. You can set a background color along with the background image. 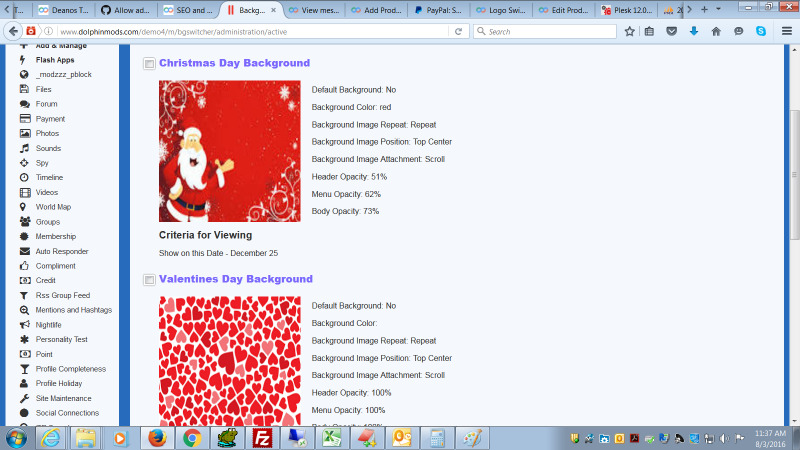 You can set the background image position, how it should repeat and whether it should be fixed or scrolling. This is the perfect companion for the Logo Switcher module.